Thread: 6-minute long teaser trailer for LOTR:ROTK- Extended Ed. Oh Boy! Oh Boy! Oh Boy! Oh Boy! Oh Boy! Oh Boy! Oh Boy! Oh Boy! Oh Boy! Oh Boy! Oh Boy! Oh Boy! Oh Boy! Oh Boy! Oh Boy! Oh Boy! Oh Boy! Oh Boy! Oh Boy! Oh Boy! Oh Boy! Oh Boy! Oh Boy! Oh Boy! Oh Boy! Oh Boy! Oh Boy! Oh Boy! Oh Boy! Oh Boy! Oh Boy! Oh Boy! Oh Boy! Oh Boy! Oh Boy! Oh Boy! Oh Boy! Oh Boy! Oh Boy! Oh Boy! ALTHOUGH i wonder if that flaming sword and the fireball stuff won't make it aLITTLE cheesy. but the mouth of sauron looks great already. that video sends shudders all over my body. what a feeling. ....what's "lord of the rings?" when does the extended edition come out? and are they planning to release a boxed set of some sort? If so I'll wait for that. This Is Why I Am In Film School! The ROTK extended edition comes out on Tuesday. 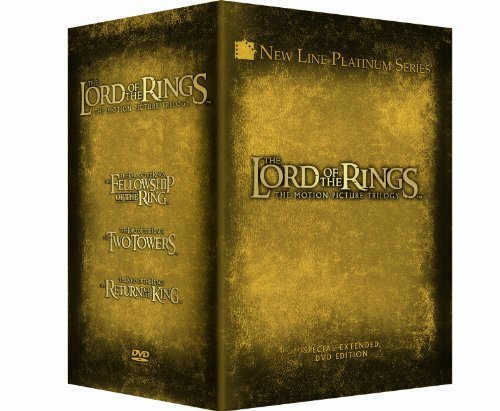 They are also releasing a boxed set if you don't have the previous extended edition movies. That's 12 DVD's. Tell me that is comming out the same time as the extended!